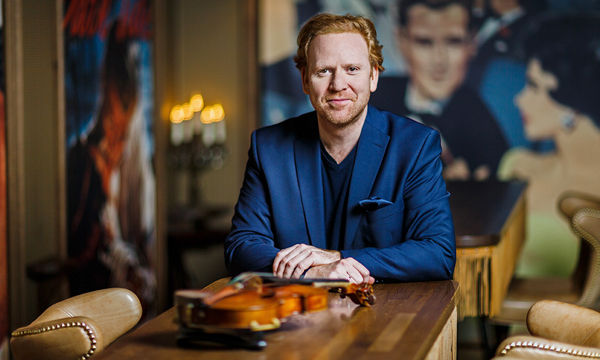 Next month the San Francisco Performances (SFP) Shenson Chamber Series will continue with the recital debut of the Brooklyn Rider string quartet. 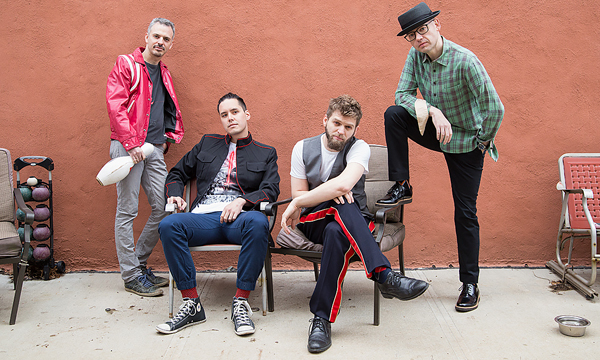 This ensemble, consisting of violinists Johnny Gandelsman and Colin Jacobsen, violist Nicholas Cords, and cellist Michael Nicolas made its debut at the end of last November, when they provided the music for Some of a Thousand Words, a duo performance by choreographer Brian Brooks and dancer Wendy Whalen. This season the performance of string quartet music will be the center of attention. This performance will take place at 7:30 p.m. on Friday, November 16. Tickets are on sale for $70 for premium seating in the Orchestra and the front and center of the Dress Circle, $55 for the Side Boxes, the center rear of the Dress Circle, and the remainder of the Orchestra, and $45 for the remainder of the Dress Circle and the Balcony. They may be purchased through a City Box Office event page. This coming Friday ECM will release a new recording led by jazz drummer Andrew Cyrille. 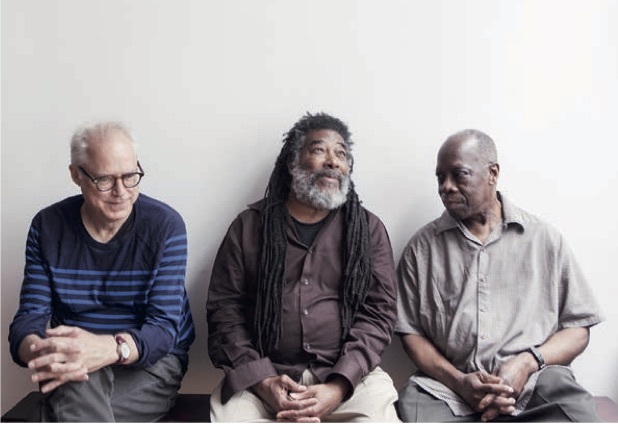 It is a trio album on which Cyrille is joined by Wadada Leo Smith on trumpet and Bill Frisell on guitar. The title is Lebroba, which is a contraction of Leland, Brooklyn, and Baltimore, the respective cities in which the three trio members were born. As may be expected, Amazon.com is currently processing pre-orders for those who can’t wait. I first became aware of Cyrille through his work with Cecil Taylor. While Cyrille was well versed in providing a steady beat behind adventurous jazz improvisations, Taylor allowed him the freedom to discover and express a distinctive voice of rhythms that were as loath to establish a solid backbeat as atonality was to allow for a dominant-tonic cadence. Since his departure from Taylor, Cyrille has been consistently finding new avenues of musical expression through his percussion resources, pursuing a mission best described by the title of his debut album with ECM, The Declaration of Musical Independence. On that album he led a quartet that included Frisell. He is also the percussionist for Trio 3, in which he is joined by saxophonist Oliver Lake and Reggie Workman on bass. The five tracks on Lebroba are not, strictly speaking, “committed” to arrhythmic drum work any more than they are committed to atonal lines coming from the trumpet and the guitar. It would be fairer to say that, just as the theoretical infrastructure of dissonance involves establishing ambiguities, many (if not all) of which are never resolved, ambiguity lies at the heart of how Cyrille deploys his percussive “themes,” which often reveal themselves with the rhetoric of hesitant conversation with the other two players. One might say that the music that emerges amounts to some kind of a quest, but one in which the journey itself is more significant than whether or not the goal is attained. Over the course of those five tracks, each of the players has at least one opportunity to serve as “composer;” and “TGD” is basically a joint improvisation by all three of them. The most ambitious track, however, comes from Smith in the form of a suite in four movements (played without interruption) dedicated to Alice Coltrane. The track lasts seventeen minutes; and, if I have parsed the listing in the booklet correctly, the titles of the four movements are “Turiya,” “Alice Coltrane,” “Meditations and Dreams,” and “Love.” The titles of the last two movements clearly reflect on the music of Alice’s husband John (both his own music and tunes of others he particularly liked), while turiya is a Sanskrit word that refers to an integration of three states of consciousness, waking consciousness, dreaming, and dreamless sleep. The overall rhetoric of the album is one of quietude. Even in the midst of bursts of energy, several of which emerge from the spontaneity of “TGD,” there is a sense that all paths eventually lead to serenity. To the extent that one can approach the entire album as a joint product of three composers and improvisers, this is music that strays from “established” practices of chamber music (even those of composers like Pierre Boulez and Morton Feldman) as much as it departs from “received wisdom” about jazz trios. 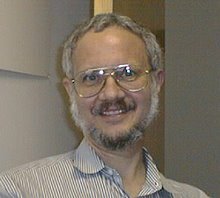 As one who is perfectly content to throw category boundaries to the winds, I have to say I am fascinated every time I encounter a recording of Cyrille at work; and I come away wondering where his next recording project will take him. 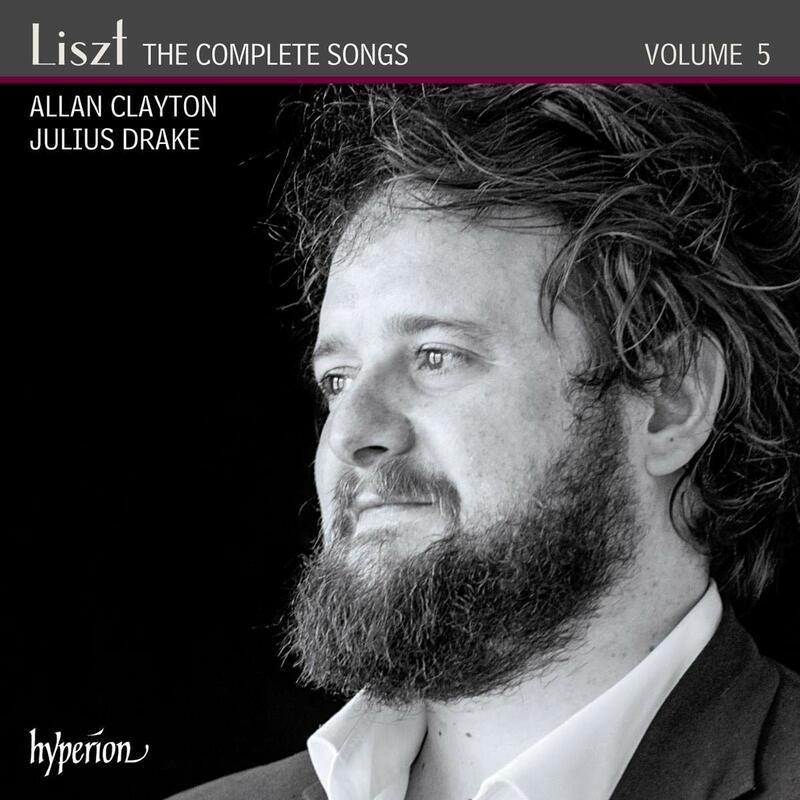 This Friday Hyperion will release the fifth volume of pianist Julius Drake’s project to record the complete songs of Franz Liszt. While I do not yet have a definitive source, the current estimate from Hyperion is that the project will conclude with the seventh volume. Each volume has been a single CD featuring a single vocalist. The vocalist on the new release is tenor Allan Clayton making this the second album presenting a tenor. (The first was the very first volume in the series with Drake accompanying Matthew Polenzani.) As is usually the case, this new album is currently available for pre-order from Amazon.com. What continues to interest me about this series is the insight it provides in how Liszt the pianist approaches another genre. That approach is most evident when the basic musical structure is common to both a song and a solo piano composition, as is the case with the Petrarch sonnet movements from the Italian “year” of Années de Pèlerinage. In this new release the connections to piano works are less explicit. Nevertheless, anyone familiar with the canon of piano solos will recognize any number of familiar tropes in the piano accompaniment to the vocal lines. At the same time we should bear in mind that Liszt composed a generous number of solo piano transcriptions of the songs of Franz Schubert. Even when the embellishments in these transcriptions threaten to go overboard (or actually do so), there is a clear sense that Liszt was clearly aware of all the nuts-and-bolts involved when Schubert set a poem to music. Those better informed than I can probably single out individual Liszt songs and then identify the extent to which Liszt drew upon one or more Schubert songs to serve as models. As one who, thanks to an ambitious piano teacher, has had more contact with Liszt’s piano music than many would feel was reasonable, I have to say that familiarity with the composer’s tropes makes for a very satisfying listening experience. Indeed, in terms of Liszt’s pursuit of other genres, I feel there is far more to be gained from listening to these songs than from the breadth of his orchestral writing. Thus, while there is no shortage of expressiveness in either the music itself or the vocalists’ interpretation of that music, I have yet to feel that Liszt ever jumps in at the deep end, so to speak, they way he does in many (most?) of his symphonic poems. One might say that this is Liszt for those who are curious about the composer but would like to get away from the excesses found in his approach to keyboard embellishment or the repurposing of those excesses in orchestral settings. Next month The Living Earth Show, the duo of guitarist Travis Andrews and percussionist Andy Meyerson, will launch its 2018–19 season with a program entitled American Music. As is often the case, the program will consist entirely of works written for the duo. Participating composers will be Raven Chacon, Timo Andres, Sahba Aminikia, Nicole Lizée, Luciano Chessa, Christopher Cerrone, Lynnee Breedlove, Ashley Smiley, and Danny Clay. They constitute a representative sample of those who were born in, have immigrated to, or utilize the musical traditions created within the current borders of the United States. Furthermore, those familiar with Living Earth know that instrumentation will involve more than a guitar and drums. Performance of these pieces will also require electronics, toothbrushes, Jell-O, and a cast iron sink (so much for “everything but”). Both compositions and resources will further Living Earth’s mission to investigate the responsibility of “American” identity in shaping musical language and in dragging the classical tradition into the future. The American Music program will be given only one performance, at 8 p.m. on Thursday, November 15. The venue will be the ODC B.Way Theater at 3153 17th Street on the northwest corner of Shotwell Street. All tickets are being sold for $20. They may be purchased through the event page on the ODC Web site. This past August the Erato label released a ten-CD box set of the Complete Works for Harpsichord of François Couperin. All of this music is played at the harpsichord by Olivier Baumont, who also provided a background essay for the accompanying booklet, translated from the original French into English by Stewart Spencer. Regular readers know that I have been following a similar project by harpsichordist Mark Kroll, which is being released in single-CD installments by Centaur Records. Those who have been following my articles know that, to date, only five CDs have been released (with the fifth appearing before the fourth), suggesting that Kroll is about halfway through to completion of his efforts. 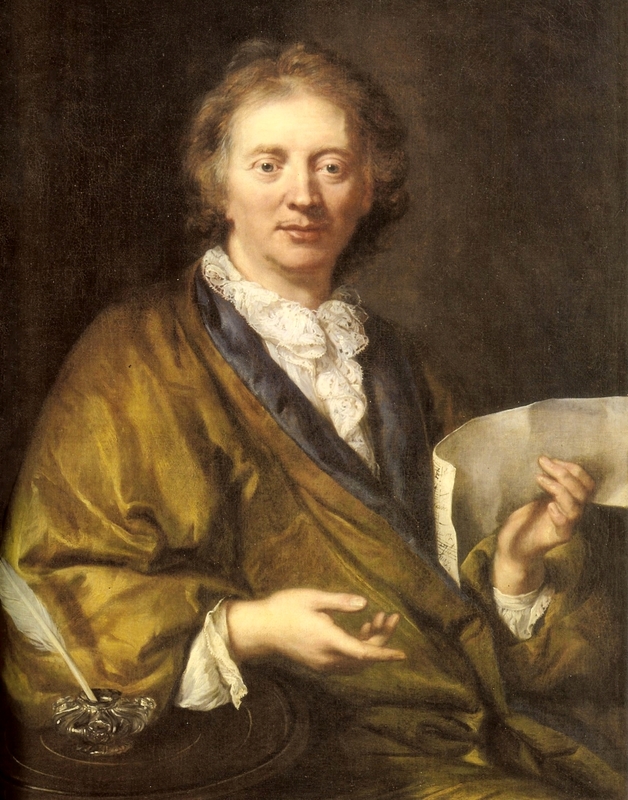 The bulk of Couperin’s work consists of four volumes entitled Pièces de clavecin that collectively contain 27 ordres (suites). Baumont accounts for all of these suites in numerical order, along with the eight preludes and one allemande included as examples in Couperin’s treatise L’Art de toucher le clavecin (the art of playing the keyboard) and a siciliano that predates the publication of the first volume. In following Kroll’s work, I have cited his giving attention to selecting specific instruments for each of the ordres he records. Baumont has done the same, and he uses his booklet notes to survey the instruments he has selected without dwelling excessively on the logic behind his selections. The ten CDs in this box set thus amount to an informed account of over 240 pieces intended to be played at the harpsichord. In terms of size, this is somewhat modest when compared with Couperin’s contemporaries. I have two “complete works” collections of the music of Johann Sebastian Bach. One of them allocates 22 CDs to the keyboard music that is not for organ, and the other has 23 CDs. However, even that achievement is dwarfed by Scott Ross’ 34-CD box set of the complete keyboard sonatas of Domenico Scarlatti. On the other hand Couperin’s motives probably differed from those of Bach and Scarlatti, both of whom may well have produced much (if not all) of their work for pedagogical purposes. Couperin was more likely motivated by the need to keep King Louis XIV entertained! My “personal history” with Couperin goes all the way back to childhood, where my first impressions were slightly distorted. My father had purchased an album of music for recorder and harpsichord. This included an arrangement of “Le rossignol-en-amour” (the nightingale in love) from the fourteenth ordre with the melody line given to the recorder (for which it was well suited). I had to wait until my graduate student days, however, before I heard any one these pieces played on harpsichord, thanks to a Musical Heritage Society album of performances by Robert Veyron-Lacroix. By the time I was ready to start exploring this music for myself, Dover Publications had come out with their reprint of all of Couperin’s keyboard works (except for that early siciliano) edited by Johannes Brahms and Friedrich Chrysander. As might be expected, twentieth-century scholarship resulted in far more authoritative editions. Here, again, Baumont uses his notes for the booklet to inform the listener of his sources, the primary one being Heugel’s publication of the edition prepared by Kenneth Gilbert. Nuts and bolts aside, what sorts of listening experiences does Baumont offer? Clearly, as is the case with both Bach and Scarlatti, this is not music for “marathon” listening. Indeed, I would guess that Louis XIV would not have had the patience to listen to a beginning-to-end account of all of the compositions in a single ordre. (I am reminded of Johann Nikolaus Forkel, in his biography of Bach, quoting Count Hermann Karl von Keyserling saying, “Dear Goldberg, do play me one of my variations,” suggesting that BWV 988 may never have been played beginning-to-end in Bach’s lifetime!) Thus, if ever there were a collection that might benefit from the “shuffle” feature, this would be it! For me, however, what matters most is the clarity that Baumont brings to every one of the pieces played in this collection. Indeed, listening to his performances has motivated me to haul out my Brahms-Chrysander volumes and try to get some of those pieces under my own hands. Where my own personal thoughts are concerned, I find that one of the major challenges in working through any of these pieces concerns the interpretation of the embellishment signs. This is where Baumont’s clarity matters the most to me. When both hands are required to embellish, it is not always clear how their respective embellishments should interleave; and, now that I have Baumont available to me as a “reference resource” for any individual piece I am thinking about playing, I expect that I shall be consulting him regularly. Thursday, November 1, 8 p.m., Luggage Store Gallery (LSG): This week’s installment of the LSG Creative Music Series will again offer two sets of improvisations. The first will involve the unlikely pairing of Korean haegeum player Soo-yeon Lyuh with electronics provided by Chris Brown. They will be followed by a solo set taken by bass player Kyle Motl. LSG is located at 1007 Market Street, across from the corner of Golden Gate Avenue and Taylor Street; and admission is on a sliding scale between $8 and $15. Sunday, November 4, 7:30 p.m., Musicians Union Hall: The next SIMM (Static Illusion Methodical Madness) Series of adventurously composed music will also consist of two sets. The first set will be taken by S N I C K E R S, which performed at the Luggage Store Gallery this past January and at the reception for the San Francisco Electronic Music Festival in September of last year. 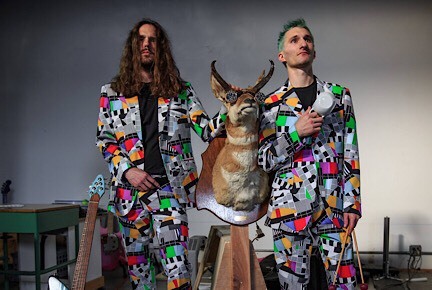 The music arises from a live Internet connection between Sam Sharp in Minneapolis and Howard Ryan, who will be at the Musicians Union Hall. The performance involves Sharp receiving guitar loops transmitted by Ryan and prolonging them through both instrumental and electronic techniques. For the second set bassist Bill Noertker will continue his current Tricycle composition project, performed by the quintet he calls Noertker’s Moxie. The other four performers will be Annelise Zamula (saxophones and flute), Amber Lamprecht (oboe), Joshua Marshall (tenor saxophone), and Dave Mihaly (drums). The Musicians Union Hall is located at 116 9th Street, near the corner of Mission Street. Admission will be on a sliding scale between $10 and $20. Sunday, November 4, 7:30 p.m., Bird & Beckett Books and Records: The Sunday concert series will present the return of Reasons for Moving, which last played at Bird & Beckett this past January. The name applies to the trio of Darren Johnston on trumpet, Fred Frith on guitar, and Larry Ochs on saxophone. For their return visit they will be joined by Jordan Glenn on drums and Jason Hoopes on bass. This will be a “bon voyage” concert taking place on the eve of their departure for a European tour, which will begin in Austria on November 11. 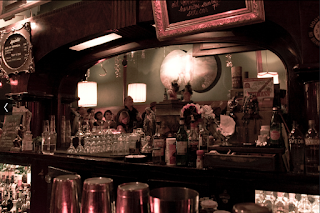 Bird & Beckett is located at 653 Chenery Street, a short walk from the Glen Park station for both Muni and BART. There will be a cover charge of $20. 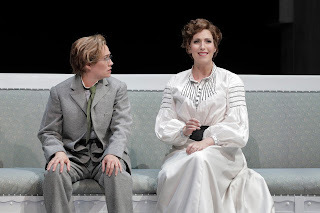 Yesterday afternoon I returned to the War Memorial Opera House for the penultimate performance of Richard Strauss’ Arabella by the San Francisco Opera (SFO). (The final performance will take place this coming Saturday.) Some may think my choice of headline unsuitable; but I feel it is worth calling out that, in the canon of Strauss operas, Arabella is among those most consistently affable. There is no shortage of flaws among the characters, but we can nod at those flaws with sympathetic understanding. The result is that Albery makes it clear that this is not a “happily every after” story. In the background Arabella’s father (baritone Richard Paul Fink) cannot wait to get back to his card game (and lose more money, now that he knows that his daughter’s marriage will yield more of it), while, in the foreground, Arabella (soprano Ellie Dehn) and Mandryka (baritone Brian Mulligan) have their own coming-to-terms over the hard truth that life is not a fairy tale, making them better prepared for the future that the dogs of war are about to thrust upon them. In that context, however, my attention shifted yesterday to Zdenka (soprano Heidi Stober) and Matteo (tenor Daniel Johansson, making his SFO debut). As a young soldier, Matteo is about to shift his venue from the “good life” of a Hofmannsthal libretto to the pages of Erich Maria Remarque’s All Quiet on the Western Front, where he is likely to end up as dead meat even before that Christmas truce that served as the focus of attention in Davies Symphony Hall this past week. On the other hand we have a certain amount of confidence that Arabella and Mandryka will weather the years of storm to come, perhaps following a trajectory similar to that of Natasha Rostova and Pierre Bezukhov in Leo Tolstoy’s War and Peace. My second visit to this opera also afforded me the view of the orchestra pit that I value so much in my subscription tickets. I have already written about the impeccable sense of balance that Marc Albrecht brought to his conducting. However, it was through the visual impressions of that conducting that I could really appreciate the many virtues of Strauss’ score. There is a tendency to think of Strauss only in terms of his grand sounds, and there is certainly no shortage of them in Arabella. On the other hand there is also no shortage of light touches, many of which benefit when what the eye sees is what the ears may barely notice. For example, there are subtle little toots from a trumpet following the conclusion of the “Richtige” duet suggesting that one of those counts wooing Arabella is on the way but still at a distance. In a more serious vein some of the richest instrumental expression comes from a viola solo that makes one wish that Strauss had written a concerto for the instrument. Mind you, Albrecht’s sure hand made certain that the orchestra never overwhelmed the actions of the vocalists; but this was a case in which “prima la musica” was as applicable to the instrumentalists in the pit was it was to the activities up on the stage. The Universal Declaration of Human Rights was proclaimed by the General Assembly of the United Nations at a meeting in Paris that took place on December 10, 1948. To honor the 70th anniversary of this occasion, conductor Michael Tilson Thomas (MTT) has prepared two weeks of concert programs that will be performed next month by the San Francisco Symphony (SFS). MTT will use the first week to present the first SFS performances of one of his own compositions, “From the Diary of Anne Frank.” Drawing upon the texts from the historic diary that Frank kept during the Nazi occupation of the Netherlands, MTT composed a dramatic work for narrator and orchestra, which was premiered by the New World Symphony in 1990 with Audrey Hepburn providing the narration. Next month the narrator will be Isabel Leonard, and MTT’s composition will be coupled with Ludwig van Beethoven’s Opus 55 (“Eroica”) symphony in E-flat major. The following week will also see a major Beethoven offering, his Opus 125 (ninth) symphony in D minor. Known as the “Choral” symphony, the final movement sets Friedrich Schiller’s “Ode to Joy” poem, whose words have frequently been evoked to honor the principles of human rights. (There is also a United Nations connection, since the original hand-written manuscript was the first musical score to be added to the United Nations Memory of the World Programme Heritage list.) Ragnar Bohlin will prepare the SFS Chorus; and vocal soloists will be soprano Susanna Phillips, mezzo Kelley O’Connor, tenor Nicholas Phan, and bass-baritone Davóne Tines. Phillips will also be soloist when the program begins with the 1928 orchestral version of seven songs by Alban Berg originally wrote between 1905 and 1908, when he was a pupil of Arnold Schoenberg. The first concert will be given four performances, at 2 p.m. on Thursday, November 15, and Sunday, November 18, and at 8 p.m. on Friday, November 16, and Saturday, November 17. Instead of an Inside Music Steven Winn will moderate a panel discussion exploring the topic of “Music as a Human Right,” beginning one hour before each performance. Doors to the Davies lobbies open fifteen minutes prior to the talk. Ticket prices range from $20 to $156. They may be purchased online through the event page for this program on the SFS Web site, by calling 415-864-6000, or by visiting the Davies Box Office, whose entrance is on the south side of Grove Street between Van Ness Avenue and Franklin Street. The Box Office is open from 10 a.m. to 6 p.m., Monday through Friday, and from noon to 6 p.m. on Saturday. The event page also has an embedded sound file of KDFC’s Rik Malone’s podcast about the Beethoven symphony and sound clips of previous SFS performances of that composition. Flash is required to play these sound files. The second concert will be given only three performances at 8 p.m. on Friday, November 23, and Saturday, November 24, and at 2 p.m. on Sunday, November 25. The pre-concert Inside Music talk will be given by Peter Grunberg. Ticket prices range from $89 to $200, and they may be purchased through this concert’s event page. The event page also has an embedded sound file of KDFC’s Rik Malone’s podcast about the Beethoven symphony and sound clips of previous SFS performances of both of the pieces on the program. Last night in Herbst Theatre San Francisco Performances presented the second installment in its Hear Now and Then Series with a program entitled AIR—A Baroque Journey. The plan for the program was conceived by violinist Daniel Hope, who led an ensemble whose other members were five virtuoso collaborators: violinist Simon Papanas, cellist Nicola Mosca, lutenist Emanuele Forni, keyboardist Naoki Kitaya, and percussionist Michael Metzler. The violins and cello were modern instruments, but they were played with baroque bows. In addition, Mosca was not always seated, playing his instrument while joining in a procession around the stage, an achievement far superior to that of Woody Allen playing cello in a marching band in Take the Money and Run. To be fair, the program was not so much a “journey” beginning in the fifteenth century and progressing to the eighteenth. It was more of a heady stew in which ingredients from one century kept bumping into those from another. The “spice” of that stew had less to do with the compositions being offered and more to do with how they were played. To set the context for this proposition, I would like to reflect on one of my own early encounters with Renaissance music, which happened to involve the first work on last night’s program, a ricercar by Diego Ortiz. During my graduate student days, I was an avid customer of the Musical Heritage Society (MHS); and it did not take long for me to “get into” my first purchase of a Renaissance album, after which I went through a period of playing it incessantly. The Ortiz ricercar basically consisted of a series of different ways to weave melodic gestures over a repeated bass line. I quickly discovered that two different viol players were alternating in playing those gestures, which turned into my first insight that the jazz practice of “trading fours” was alive and thriving roughly half a millennium before the word “jazz” became part of our lexicon. Much later I had a chance to see a reproduction of Ortiz’ manuscript. It consisted only of the repeated bass line and a single melodic line. It said nothing about instrumentation nor about how many instrumentalists were to be involved. The musicians on the MHS album had made those decisions for themselves. At a time when very few knew about “Dueling Banjos” (the film Deliverance would only come out about five years later), here was a Renaissance ensemble engaging in a practice familiar to bluegrass banjo players as well as the jazz world. I must thus confess more than a little disappointment when, last night, Hope played the Ortiz ricercar as a melody line for solo instrument. Nevertheless, as the evening progressed, it became clear that his group was well aware that the jazz practice of jamming had its roots in the Renaissance (and probably earlier than that). More often than not, the entire group displayed highly-skilled intuitions in how to turn static marks on paper into opportunities for improvisation. The “dueling” interplay of the two violinists was most evident in one of Antonio Vivaldi’s sonatas for two violins, the twelfth (and last) of the sonatas in his Opus 1 based on the Folia theme. In their performance Hope and Papanas had no trouble departing from the variations that Vivaldi had written to unfold exploratory variations of their own, one of which bore an unmistakable “family resemblance” to a passage from The Four Seasons. Nevertheless, because last night’s recital took place so soon after the appearance of Quicksilver in Herbst earlier this month, it was hard to shake the impression that Hope had summoned a collection of players in contrast to Quicksilver being an ensemble of musicians who had been together for some time and could bring an intuitive spontaneity to everything they played. Once again it seems advisable to get the jump on next month’s Monday Make-Out. The last time this site chose to beat the BayImproviser Calendar to the punch, it was about the September Monday Make-Out that took place on Labor Day. Ironically, the most recent time before the Labor Day announcement came almost exactly a year ago with a heads-up for the November installation in 2017! For those unfamiliar with the series, these monthly concerts are hosted by the Make Out Room and offer, in the words of the host, the “cutting edge of Bay Area jazz and improvised music.” As is almost always the case, the program is organized into three sets, each of which will offer a small combo of a different size. The opening set will be a quartet that calls itself Bristle and describes its improvisatory ventures as “chamber jazz.” The kinship to chamber music derives from the presence of Murray Campbell on violin, whose is joined by two reed players, Randy McKean and Cory Wright. Bassist Lisa Mezzacappa provides rhythm, continuo, or whatever seems an appropriate foundation for the other three players. 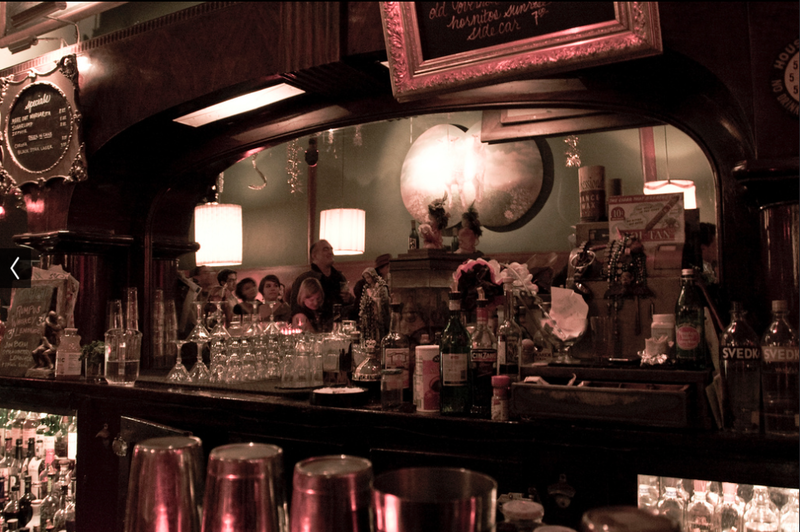 Bristle will be followed by the Shiva Xtet, which plays jazz under the influence of rock. The core group is the trio of Tony Passarell on saxophone, Robert Kuhlman on bass, and Jim Frink on drums. For this performance they will be joined by guitarist Karl Evangelista. The final set presents guitarist Joel Nelson working with Dylan Burchett, who presides over a laptop and electronic gear. Last night at Old First Presbyterian Church, the Old First Concerts series presented a program of the music of Olivier Messiaen. The program was prepared and executed by the members of the Vinifera Trio: violinist Rachel Patrick, clarinetist Matthew Boyles, and pianist Ian Scarfe. They were joined by guest artist James Jaffe on cello to perform Messiaen’s “Quatuor pour la fin du temps” (quartet for the end of time). The music itself is an eight-movement reflection on Messiaen’s highly personal approach to Christian mysticism. Indeed, those reflections were so intense that, when the score was eventually published, it was accompanied by an extended preface, reproducing the text from the Book of Revelation that inspired the title and then discussing the narrative contribution of each movement to an overall interpretation of that text. Excerpts from that preface were provided in the program book, but Scarfe came up with the ingenious idea of projecting more extended passages on a screen above the performers. This allowed a synthesis of both musical and verbal thoughts that could be experienced without burying one’s head in the program sheet. Scarfe is no stranger to Messiaen’s quartet. I first experienced his encounter with the piece in December of 2010, when he was one of four students at the San Francisco Conservatory of Music (SFCM) that had prepared the piece for an end-of-term String and Piano Chamber Music (SFCM) student concert. The work subsequently found its way into the repertoire of Nonsemble 6, a sextet of SFCM students assembled to prepare a performance of Arnold Schoenberg’s Pierrot Lunaire. Scarfe could not be better informed about playing Messiaen, and his command of background knowledge is equally proficient. Last night he was able to present both sides of that coin, and the result was a perceptive augmentation of a thoroughly disciplined and knowledgeable account of the music itself with insights into the composer’s often mystical visions behind that music. Indeed, Scarfe used his projection equipment even more extensively. 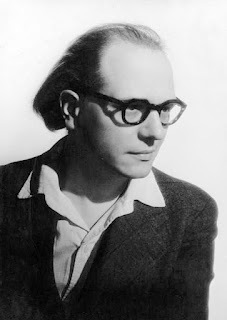 Before any music was played, he presented subtitled video clips of Messiaen discussing his own work. Particular attention was paid to his interest in birdsong. One could listen to Messiaen offer vocal imitations of the sounds of birds he had encountered, followed by his wife, Yvonne Loriod, demonstrating how Messiaen had translated his vocalizations into piano music. Because birds figure significantly in the quartet score, this amounted to yet another way for listeners to be better aware of what Messiaen was doing as he created this music. Between the video introduction and the quartet itself, Scarfe played the first movement of a cycle of solo piano compositions that Messiaen entitled Vingt Regards sur l'enfant-Jésus (twenty contemplations on the infant Jesus). The title of the first movement is “Regard de Père” (contemplation of the Father); and it is based on a progression of five chords that constitutes the “God theme,” which pervades the entire cycle. This music was serenely meditative, preparing the attentive listener for the much richer encounter with the sonorities of the quartet that followed. One could not have come up with a better way to introduce Messiaen’s music to those encountering him for the first time while, at the same time, enriching the perspective of those more familiar with the repertoire. With apologies for this last-minute announcement, this site is happy to report that the San Francisco Chamber Orchestra (SFCO) will give its first San Francisco performance of its 2018–2019 season tonight. The program is entitled, appropriately enough, Overture to a Season. 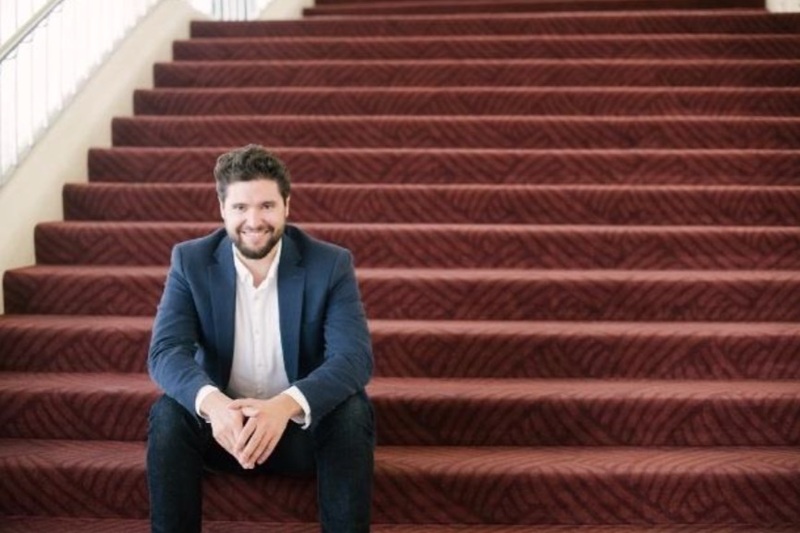 That title will also be the title of the opening selection, composed by Michael Gilbertson, a recent finalist for the Pulitzer Prize in Music and currently BMI Foundation Composer-in-Residence with SFCO. 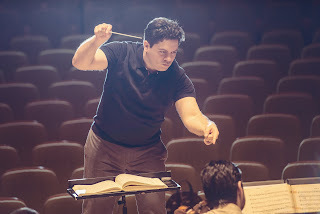 Conductor Benjamin Simon will then conclude the program with Ludwig van Beethoven’s Opus 68 (sixth) symphony, best known as his “Pastoral” symphony. This San Francisco event will begin at 7:30 p.m. tonight (Friday, October 26). 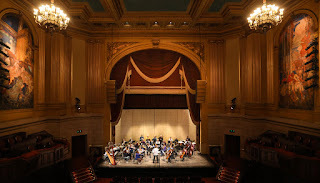 The venue will be Herbst Theatre, which is located at 401 Van Ness Avenue on the northwest corner of McAllister Street. As is always the case, there is no admission charge for all SFCO Main Stage Concerts. Seating for members will begin at 6:30 p.m. Doors will then open for everyone at 7:15 p.m., at which time member seating cannot be guaranteed. Early arrival is highly recommended. Last night in Davies Symphony Hall, Romanian conductor Cristian Mӑcelaru made his debut on the podium of the San Francisco Symphony (SFS). Each half of the program began with a debut selection followed by a work from that transitional period from the late nineteenth century into the early twentieth. Of the two new works, the more significant was the world premiere of Kevin Puts’ “Silent Night Elegy,” an orchestral reflection on Puts’ full-length opera Silent Night, performed after the program’s intermission. The opening selection was Anna Clyne’s “Masquerade,” completed in 2013 and being performed by SFS for the first time. The soloist for the evening was violinist Ray Chen, playing Édouard Lalo’s Opus 21 “Symphonie espagnole;” and the program concluded with another orchestral reflection on opera, this time a suite of music from Richard Strauss’ Opus 59 Der Rosenkavalier. On the other hand no fault could be found in the timing of “Masquerade.” Clyne was commissioned to compose music for the 2013 installment of Last Night of the Proms. The whole Proms series is one in which serious music comes face to face with party-like revelry; but the season always wraps up with the revelry going over the top on, as BBC announcers like to put it, “the night that the circus leaves town.” Appropriate to the occasion, Clyne cooked up what amounted to a five-minute roller coaster ride that deploys a wide palette of sonorities deployed at a breakneck pace. Every gesture was saturated with good humor. During the first section I kept hearing my composition teacher’s persistent warnings against “slimy chromaticism.” Clyne’s chromatic passages were as slimy as you could get. It was abundantly clear that she loved every one of them and wanted us to do the same. Several tunes were cited, most of them probably more familiar to a Proms audience than to listeners on this side of the pond. Since this was Mӑcelaru’s opening gesture of the evening, he knew he had to get his audience’s attention; and Clyne’s music could not have been more appropriate for the task. Having established a presence, so to speak, the stage was then prepared for the entrance of violin soloist Chen. Lalo’s Opus 21 is a flamboyant piece, and Chen has never been afraid of being flamboyant. The symphony is in five movements, and the vigorously energetic tempo markings do not let up until the Andante of the fourth movement. Nevertheless, Chen was never short of energy; and his dexterity in managing the many virtuoso passages in the score never failed him. However, Chen’s skills also included prevailing over Mӑcelaru’s dynamics, which, with only a few rare exceptions, seemed to be limited to the range between forte and fortissimo. Indeed, Mӑcelaru demanded so much of timpanist Edward Stephan that the opening statement of the first theme was practically inaudible. As the performance progressed, Mӑcelaru persisted in cranking his amplifier up to eleven; and Chen probably should have been awarded a Purple Heart for not only surviving those dynamics but also reminding the audience that this was concertante music for a solo violin. Chen then took an encore (meaning he no longer had to worry about competing with Mӑcelaru’s dynamics). He chose to play the opening movement from the second of the six sonatas for solo violin that Eugène Ysaÿe published as his Opus 27. Ysaÿe gave that movement the title “Obsession;” and it involves a battle (of sorts) between the opening measures of Johann Sebastian Bach’s BWV 1006 solo violin partita in E major and the original plainchant version of the “Dies irae” sequence. Chen was as fearless in his approach to Ysaÿe as he had been in meeting all of Lalo’s challenging passages, and one could even appreciate the sly wit that Ysaÿe brought to this reflection on music of the past. Fortunately, Mӑcelaru’s approach to the suite of Rosenkavalier music was not quite so extreme. As the program book observed, it is not known who compiled this suite. It was first performed on October 5, 1944 (the opera had been completed in 1910) by Artur Rodziński conducting the Philharmonic-Symphony Orchestra of New York (now the New York Philharmonic). The program book suggests that Rodziński “probably had a hand in the arrangement,” possibly aided by his assistant, Leonard Bernstein. The music itself tends to go down best with those who know and love both the music and the narrative of the opera. It revives memories of many of the great scenes including the “roll in the hay” taking place before the curtain rises, the show-stopping “Presentation of the Rose,” Baron Ochs’ fatuous “Ohne mich” waltz, and the heartbreaking beauty of the trio that resolves the entire plot. Those less familiar with the opera probably find the suite more opaque and some of the episodes unnecessarily long. Strauss himself compiled two shorter suites of waltz music in 1911 and 1944, respectively. The earlier of these excepted music from the third act, while the later drew upon the first two acts. My own opinion is that both of these work their magic far more effectively for those unfamiliar with the overall plot. Nevertheless, Mӑcelaru endowed the score he was using with well-considered pacing, bringing a joyous conclusion to a program that was, for the most part, highly festive. This may be the first time I have received notice of a jazz concert presented by the School of Music in the College of Liberal & Creative Arts at San Francisco State University (SFSU). However, this is one of what are probably many performances presented by School of Music faculty members, who tend to play works consistent with what they teach. 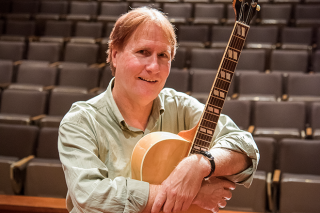 In this case the faculty member is Guitar Lecturer James Witzel, who also happens to be an SFSU alumnus. Sadly the School of Music has not been particularly forthcoming with background information, other than the fact that Witzel is a composer as well as a performer. For his concert he will be playing with his trio, which, presumably, means two of the three members of the quartet with which he has been recently performing. These would be pianist Adam Shulman and drummer Jason Lewis. This will be a one-hour concert beginning at 1 p.m. on Wednesday, November 14. It will take place in Knuth Hall in the Creative Arts Building, which is a short walk from the SFSU Muni stop at the corner of 19th Avenue and Holloway Avenue. There will be no charge for admission, and tickets will not be required. For the 2018–2019 season, San Francisco Performances (SFP) has decided to change the name of its annual Vocal Series. The new name is “The Art of Song.” One objective is to expand the scope of the programming beyond traditional “art song.” The “new territory” will include jazz (with non-traditional accompaniment), songs from both Europe and America, and British comic relief (which, hopefully, will resonate with many of my generation). Friday, November 30, 7:30 p.m.: The jazz with non-familiar accompaniment will be provided by vocalist Luciana Souza. She will accompanied only by Chico Pinheiro on guitar and Scott Colley on bass. The title of her program will be The Book of Longing. The selections will explore the influence, inter-relationships, and interpretation of poets and music. 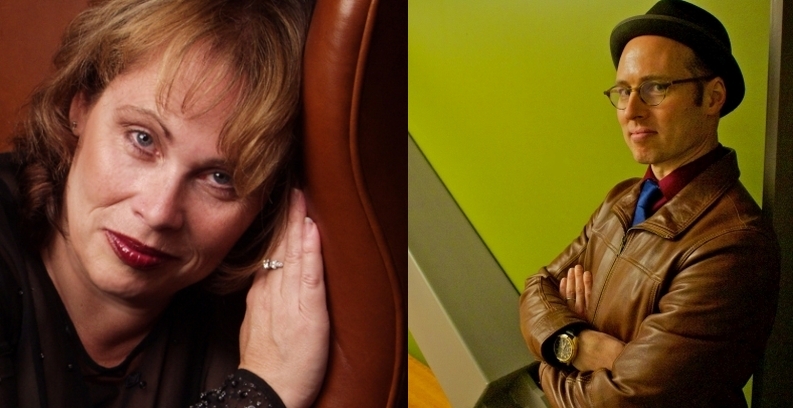 Sunday, January 13, 7 p.m.: This will be the traditional liederabend of the series. Tenor Mark Padmore will be accompanied by pianist Paul Lewis. The program will be a survey of the German/Austrian art song tradition. The composers will be presented in roughly chronological order: Joseph Haydn, Wolfgang Amadeus Mozart, Ludwig van Beethoven, Franz Schubert, and Robert Schumann. Thursday, May 2, 7:30 p.m.: The series will conclude with a heavy focus on American songs presented by soprano Deborah Voigt. The composers she has selected will include Amy Beach, Ben Moore, William Bolcom, and Leonard Bernstein. The program will also include songs by Richard Strauss and Pyotr Ilyich Tchaikovsky. Her accompanist has not yet been announced. Subscriptions are still on sale for $260 for premium seating in the Orchestra and the front and center of the Dress Circle, $200 for the Side Boxes, the center rear of the Dress Circle, and the remainder of the Orchestra, and $160 for the remainder of the Dress Circle and the Balcony. Subscriptions may be purchased online in advance through a City Box Office event page. Orders may also be placed by calling the SFP subscriber hotline at 415-677-0325, which is open for receiving calls between 9:30 a.m. and 5:30 p.m., Monday through Friday. Single tickets are also on sale for $70, $55, and $45, accordingly. Each concert has its own City Box Office event page, and these may be accessed through the hyperlinks attached to the above dates. Having just put out the word about this Sunday’s Jazz Chez Hanny house concert, I realized that, with holidays upon us, it would be a good idea to post the information about the last two events of the calendar year. To review the ground rules again: Each event has a recommended donation, currently $20. All of the money goes to the musicians, and donations can only be made in cash. The events usually consist of two sets separated by a potluck break. As a result, all who plan to attend should bring food and/or drink to share. Seating is first come, first served; and, as a result, reservations are strongly recommended. Reservations are placed through an electronic mail address. Mail messages received after noon on the day of a performance are unlikely to be seen until after the show is over, and cancellations should be given at least 24 hours advance notice. Finally, volunteer efforts for cleaning up after the show and moving furniture to accommodate both players and listeners is always appreciated. November 11: Vocalist Janis Mann will return to Chez Hanny. On her last visit she was accompanied by pianist Kenny Werner, her partner for two outstanding recording projects. This time her pianist will be George Colligan, currently a member of Jack DeJohnette’s New Quintet. December 9: The final concert of the year will present the Richard Sears Trio, led by pianist Sears. He is both an improviser and a composer, having composed under grants from both the Aaron Copland Fund and the Los Angeles Jazz Society. His bass player is Martin Nevin, who is also a composer. His drummer is Parisian Guilhem Flouzat. Under a Fulbright grant, Flouzat was able to follow his studies at the National Conservatory in Paris with matriculation at the Manhattan School of Music. He has played at clubs in New York, Paris, Brussels, and Shanghai. Mirga Gražinytė-Tyla, scheduled to give her debut performances with the San Francisco Symphony (SFS) at the concerts on January 18–20, has had to postpone her appearance. At that time she will be on maternity/family leave following the birth of her first child. Pianist Gabriela Montero will still be concerto soloist in a performance of Pyotr Ilyich Tchaikovsky’s Opus 23 (first) piano concerto in B-flat minor. Further information about a replacement conductor and any changes in repertoire will be announced once confirmed. If you need assistance with your ticket, contact the San Francisco Symphony Box Office by phone at 415-864-6000, through electronic mail, or in person at the Box Office located at 201 Van Ness Ave, San Francisco, CA. Last night in Herbst Theatre San Francisco Performances (SFP) launched its 2018–2019 Piano Series with a debut recital by Chopin Competition Gold Medalist Seong-Jin Cho. Cho prepared a highly imaginative program, replete with virtuoso challenges but also conceived with an imaginative sense of architecture. The first half of the program presented three fantasia compositions, each with its own distinctive rhetorical and stylistic approach to the inventive capacity for “fantasizing.” The second half was then devoted entirely to Modest Mussorgsky’s suite Pictures at an Exhibition, a series of musical inventions honoring the visual inventiveness of Viktor Hartmann, composed as a memorial to that artist. The three “fantasizing” composers were Johann Sebastian Bach, Franz Schubert, and Frédéric Chopin, whose works were played in chronological order. The Bach selection was the BWV 903 “chromatic” fantasia and fugue in D minor, with the adjectival description applying to the semitone-laden fugue subject. Most likely the fantasia was the product of Bach’s own prodigious capacity for spontaneous invention. According to the Wikipedia page for this composition, there is no manuscript in Bach’s own hand; but there are at least sixteen different handwritten copies, no two of which are alike. Lest one think that only the fantasia portion was a product of improvisation, it is worth remembering that Bach was just as adept at improvising his way through a fugue. Cho’s performance provided a convincing account of an effort to remain faithful to the “documentation” of the music while also conveying the spirit of the score’s spontaneous origins. He overplayed his hand a bit in his opening gesture, which came across as slightly muddled; but, once he oriented himself to the instrument at his disposal, clarity and precision emerged as his top priorities. He gave an edge-of-your-seat account of the gestural bursts of the fantasia, after which he settled into the fugue with a crystalline account of Bach’s rich polyphonic interplay, allowing the attentive listener the interplay of subject and countersubject, along with the striking intrusions of passages structured around chord progressions. This may not necessarily have been a “historically-informed” reading; but, in Cho’s hands, the spirit of Bach was alive and well. The Schubert selection, on the other hand, was definitely “composed” rather than improvised. The work was the D. 760 “wanderer” fantasy in C major, named after the thematic material of the second of the piece’s four sections, the D. 493 song “Der Wanderer.” We know the music was “born on paper” because there is a famous anecdote about Schubert himself not being able to negotiate the complexities he had documented. Cho, on the other hand, could not have been more suited to taking on the task. In each of the work’s four sections, he had a consistently clear sense of foreground and background and a command of dynamic levels that could turn on a dime. It is worth remembering that neither BWV 903 nor D. 760 was conceived with a present-day piano in mind. Nevertheless, in both of these pieces Cho knew how to handle his dynamic levels, his use of the damper pedal, and the many factors through which phrasing is established. 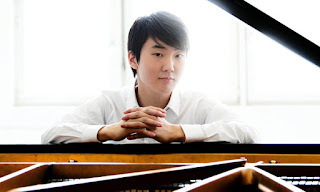 Both Bach and Schubert were presented through a rhetoric of the immediate present, but the clarity with which Cho achieved those presentations never compromised the fundamental features of exposition and development. As a result his approach to Schubert was as viscerally thrilling as that of Bach had been structurally awe-inspiring. The final fantasia that concluded the first half of the program was Chopin’s Opus 61 in A-flat major, which he called “Polonaise-fantaisie.” As the authors of this piece’s Wikipedia page observes, the polonaise genre provides metre, rhythm, and most of the thematic tropes. Structurally, however, the music is anything but a formal dance piece. Indeed, it reflects dreamier qualities that seem to consistently elude any sense of there being a formal structure. The music could well have emerged from improvisatory exercises; but documentation “froze” the work into a fixed score that pianists now feel obliged to honor. Cho’s execution of this piece made for the least compelling part of his program’s first half. Too often he seemed to be more bound by the letter of the text than inspired to follow the spirit. To be fair, however, that “letter” is far from Chopin’s finest hour. Chopin was rarely (if ever) at his best when working with large forms; and the “Polonaise-fantaisie” brings the pianist to the verge of a concerto movement. Furthermore, those dreamier qualities felt a bit out of place in a context in which structural precision had provided a solid framework for highly expressive rhetoric. Hopefully, as he matures, Cho will come to terms with the principle that not every piano recital has to include paying homage to Chopin. By all rights the entire program would have been enough for any serious listener. However, Cho was playing to a house that seemed to have been abundantly packed with a fan base; and the fans were not going to let him leave without at least one encore. Bearing in mind all the full extent of physical and cerebral activity that made the program itself so memorable, it should not have surprised anyone that the encores amounted to barely memorable accounts of [corrected 10/24, 9:45 a.m.: Pyotr Ilyich Tchaikovsky] and a bit of Franz Liszt. I would have preferred to have left the house with the bells of Kiev still ringing in my ears. About a month ago Deutsche Grammophon released its second “concept” album of the Icelandic pianist Víkingur Ólafsson. The title of the album is Bach Reworks / Part 1, suggesting that this will be the first of series. The advance work for this album describes it as “a single extended, free-flowing composition, in which the juxtaposition of Bach’s original works and other composers’ transcriptions reveals the timeless character of Bach’s music.” The accompanying booklet includes an essay by Dorothea Walchshäusl which approaches the results of that juxtaposition as “a thrilling journey” and then proceeds to guide the reader through that journey. This is, to say the least, a bold undertaking for both Ólafsson and Walchshäusl. However, it is worth asking, as I suggested in the title for this article, who benefits from such an effort. At the risk of scaling up the matter too outlandishly, I might also raise the questions of who benefits from playing or listening to Johann Sebastian Bach and how are those benefits realized. Addressing these questions must begin by recognizing that pedagogy was one of Bach’s major activities throughout his mature life, whether it involved his children, his patrons, or his “official” students by virtue of his position at the Thomaskirche in Leipzig. Furthermore, as we know from the title page of the inventions and sinfonias, pedagogy involved not only the dexterity necessary for clarity of execution but also the capacity to come up with “good ideas” (hence, the use of the noun “inventions”) and to deploy them both imaginatively and capably as part of the activity of performance. Put another way, music-making for Bach was not a matter (or, at least, strictly a matter) of performing for an audience. Because notation was a key element in making music, one might almost say that the activity was one of communion between the notation and music-maker, a communion that involved far more that treating the “text” at face value. Thus, at least from Bach’s point of view, if we are to invoke the metaphor of the journey, then that journey has more to do with the activities of the music-maker, whether or not any listeners happen to be around at the time. Now, to be fair, Ólafsson definitely scores high points when it comes to dexterity in his execution. There is even some evidence that he is exercising his own “good ideas,” even if those ideas often involve when it is appropriate the use the damper pedal or how to introduce contours of dynamic levels that would not have been available on any of the keyboard instruments that Bach played. On the other hand, at a purely personal level, I found it very hard to focus my attention of the tracks of Bach Reworks / Part 1, which seemed to have everything to do with the ego of the pianist and little to do with anyone else, not just Bach but also the transcribers. Let me then pose the probably radical proposition that, where Bach is concerned, making is the only priority. I offer this statement as one whose ability to play Bach’s music is painfully (at least to me and probably to those unfortunate enough to hear me try) limited. Nevertheless, I find that I can still be an avid listener to both performances and recordings of Bach’s music. However, on those occasions, my listening is always guided by “background thoughts” about how I might dare to take even a few of those “good ideas” and put them into practice. 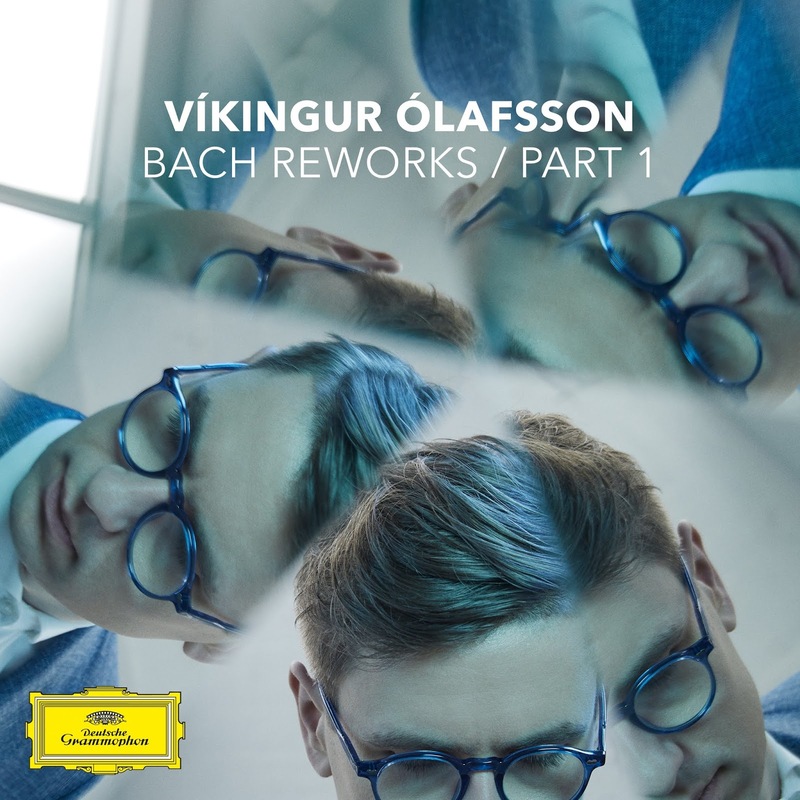 As a result I have to wonder seriously whether those who have not addressed matters of execution will find much of interest on Ólafsson’s album. For some, I can guess that listening will be a matter of how Ólafsson is telling his audience, “These are a few of my favorite things;” but will that be enough for a “disconnected listener” to buy into any of the tracks on this album? Personally, whether it involves playing directly from a “source text” or playing an arrangement, I have my doubts. Those who wonder what those doubts may be would do well to get hold of the recording made of Sergei Rachmaninoff playing his own arrangement of the Gavotte movement from Bach’s BWV 1006 solo violin partita in E major and compare it with the corresponding track on Bach Reworks / Part 1. I am willing to bet that those undertaking such a comparison will find Ólafsson’s reading pale compared to Rachmaninoff’s, not because Ólafsson’s technique is not up to the task but because his capacity for “invention” is wanting. Thursday, October 25, 8 p.m., Luggage Store Gallery (LSG): As was the case last week, this week’s installment of the LSG Creative Music Series will be an evening of two duo improvisations. The first set will be electronic inventiveness from Tom Djll and Clarke Robinson, who perform together under the name Runcible Spoon Fight. They will be followed by acoustic improvisations performed by Mark Pino on drums and blues musician Maurice John Vaughn playing different sizes of saxophones. LSG is located at 1007 Market Street, across from the corner of Golden Gate Avenue and Taylor Street; and admission is on a sliding scale between $8 and $15. Each event has a recommended donation, currently $20. All of the money goes to the musicians, and donations can only be made in cash. The events usually consist of two sets separated by a potluck break. As a result, all who plan to attend should bring food and/or drink to share. Seating is first come, first served; and, as a result, reservations are strongly recommended. Reservations are placed through an electronic mail address. Mail messages received after noon on the day of a performance are unlikely to be seen until after the show is over, and cancellations should be given at least 24 hours advance notice. Finally, volunteer efforts for cleaning up after the show and moving furniture to accommodate both players and listeners is always appreciated. The “house” for this house concert is located at 1300 Silver Avenue. This is best reached by public transportation by taking the Muni 44 bus going east from Glen Park Station. For those thinking of driving, parking tends to be available on Silver Avenue, Silliman Street, one block south of Silver, and Holyoke Street, which connects Silver and Silliman. 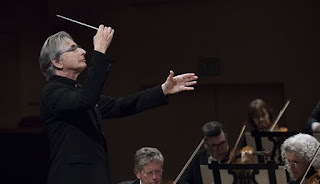 Last month in Davies Symphony Hall the San Francisco Symphony (SFS) and Music Director Michael Tilson Thomas (MTT) presented two weeks of subscription concerts devoted entirely to the music of Igor Stravinsky. (One of those concerts happened to overlap with a performance of Stravinsky’s “L’Histoire du soldat” down the block in the Veterans Building, when San Francisco Performances launched its new season with its annual gala.) Last night Davies hosted yet another all-Stravinsky program, performed this time by the Mariinsky Orchestra led by Music Director Valery Gergiev as the latest event in the SFS Great Performers Series. The soloist for the evening was pianist Denis Matsuev. The 1929 capriccio is one of the best reminders that Stravinsky could have a robust sense of humor. This is probably the closest that Stravinsky ever came to honoring the spirit of jazz, even if the flesh was not that identifiable as such. As the genre name suggests, the piece is lighthearted and often downright sassy. Matsuev took to the keyboard with a heavy hand, but it was heavy with an enthusiasm that never obscured the details of the devilish technical challenges on the surface. He was clearly having the time of his life romping his way through Stravinsky’s score, and Gergiev made sure that all of the instrumental interjections that reinforced the comic elements were delivered with the same high spirits. In my past life as a dance critic, I came to know and love this capriccio as the music George Balanchine chose for his “Rubies” ballet. Balanchine used this piece to provide the comic relief in the Jewels trilogy, situating “Rubies” between the French serenity of “Emeralds” and the Imperial Russian grandeur of “Diamonds.” (“Rubies” was unabashedly American, almost suggesting the moves of a troupe of Broadway hoofers who had wandered into a ballet company by accident.) Last night was my first opportunity to experience a performance of the score on its own merits; and, while a few memories of Balanchine may have intruded, I was delighted with how well Matsuev and Gergiev served it up in a “pure” concert setting. Gergiev did not seem quite as sure of himself when presenting the two symphonies. The 1940 piece tended to be on the more solid ground. This was the part of the program in which reflections on classicism were clearest (although, to be fair, Stravinsky’s departures from those classical roots were just as clear). Most importantly, Gergiev kept a firm hand on his large string section (far too large for any “classical” performance), always making sure that the interjections from winds and brass came through with crystal clarity. In the 1945 symphony, on the other hand, it almost seemed as if Gergiev was so occupied with the eccentricities of the driving rhythms that he lost touch with any distinction between foreground and background. Mind you, there were enough wind, brass, and percussion players to hold their own throughout the aggressive rhetoric of this symphony. Nevertheless, there were too many instances in which it felt as if the strings were playing one piece while trying to drown out the rest of the ensemble intent on playing something else. On the Russian side it was clear that Gergiev took real delight in serving up music from the launch of Stravinsky’s career as a composer. As the note for the program book by Aaron Grad observed, Sergei Diaghilev was in the audience when “Fireworks” was first performed. He invited Stravinsky to compose the score for his next ballet project, which happened to be “The Firebird;” and, as the cliché goes, the rest is history. It should be no surprise, then, that those familiar with the “Firebird” score can find “prequel” moments in “Fireworks.” Instrumental motifs that seemed to depict those evanescent hand-held sparklers would soon find their way into the music that would later represent the Firebird trying to escape Prince Ivan’s grasp. 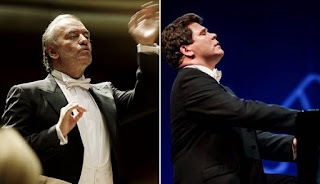 Mind you, by choosing to conclude his program with the 1919 “Firebird” suite, Gergiev did not facilitate listeners making this connection, since the episode in question did not make its way into the suite’s score. Nevertheless, one could still appreciate ways in which “Fireworks” provided a foretaste of the spirit of the Firebird music that was presented in the 1919 suite. As is frequently the case with Great Performers visits, both soloist and conductor took encores. Matsuev’s was the more interesting, since it involved a piece composed by Jean Sibelius during the time of Stravinsky’s Russian period. He played an etude in A minor that was part of the Opus 76 collection of thirteen pieces for solo piano, all of which were composed between 1911 and 1919. Gergiev, on the other hand, reminded us all that the Mariinsky Theatre is an opera house. He concluded the evening with a rip-snoring account of the overture to Giuseppe Verdi’s opera La forza del destino. My only thought was that Stravinsky turning in his grave might prove to be an untapped source of energy. November 11: Percussionist Jonas Koh, winner of the SFSYO 2018 Concerto Competition, will be the soloist in a performance of Emmanuel Séjourné’s concerto for marimba and strings. He will play the 2015 revision of the original version of the concerto, composed in 2005. The program will begin with John Adams’ “The Chairman Dances” and conclude with Antonín Dvořák’s Opus 70 (seventh) symphony in D minor. December 9: The Holiday Concert will present the annual performance of Sergei Prokofiev’s “Peter and the Wolf.” This year the narrator will be Richard Dreyfuss. Details for the rest of the program have not yet been announced. March 3: The program will begin with the overture to Wolfgang Amadeus Mozart’s K. 492 opera The Marriage of Figaro. 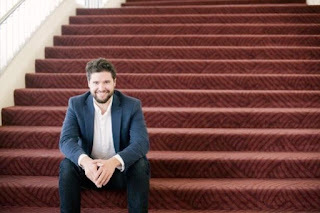 This will be followed by a selection of arias and ensemble pieces performed by vocalists currently in the San Francisco Opera Adler Fellowship Program. The remainder of the program will consist of Claude Debussy’s Ibéria suite (the second piece in his Images pour orchestre collection) and the second suite that Georges Bizet extracted from the incidental music he provided for Alphonse Daudet’s play L’Arlésienne. May 19: The overture for this program will be Felix Mendelssohn’s Opus 26 concert overture, “The Hebrides.” The remainder of the program will offer two perspectives on the music of Gustav Mahler. First will come “Mahlerwerk,” composed by SFSYO alumnus Nathaniel Stookey. This will be followed by “real Mahler” in the form of his first symphony in D major. June 16: This will be a special concert held at 8 p.m., rather than 2 p.m. It will be a “Bon Voyage” performance preceding SFSYO’s eleventh international tour. The program will reprise the performance of Dvořák’s Opus 70 given at the beginning of the season. The concerto offering will be Pyotr Ilyich Tchaikovsky’s Opus 35 violin concerto in D major. The soloist has not yet been announced. The overture for the occasion will be the first of the three “American” preludes composed by Detlev Glanert. Note that, as of this writing, an event page for this concert has not yet been created for online ticket purchasing.